Just About Anything: Cheers From Us! I have been looking for unique gift ideas to give away to friends this Christmas and I finally found one that is just one of a kind: a personalized soda drink and a custom name to go with it. How about that? This is just one great Christmas gift idea that my friends will surely love. And since it is the Christmas season, I would like to call it Weihnachtsapfel Soda. Why the German term? Because I am thinking of giving them to friends who live in Germany. Just to give clarity, Weihnacht is the German word for "Christmas" and Apfel is the German word for "apple", thus the term. Of course, I would choose the Red Apple flavor because it has the color of Christmas and is the perfect flavor for the name that I have chosen. Cool huh? 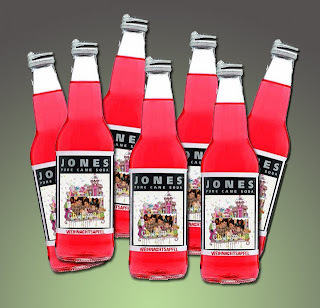 If you fancy a personalized gift or giveaway this Christmas or on any other occassion, do check out myJones custom soda. It is a fun way to give gifts, and a great way to give cheers to your friends. That looks cool and cute! 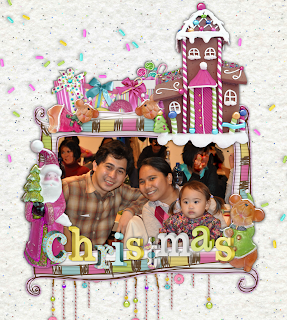 a personalized Greeting card for Christmas. I'm sure your friends will be happy to receive it. gracefancz143@yahoo.com osri I asn't able to add the 143..Hmmm.. malapit na ang bakasyon grande ha..God bless!